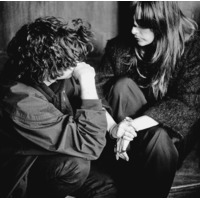 Beach House is an American indie rock duo formed in 2004 in Baltimore, Maryland, consisting of French-born Victoria Legrand and Baltimore native Alex Scally. Their self-titled debut, Beach House, released in 2006, was critically acclaimed. This was followed by their second release, Devotion, in 2008. The band released their third studio album, Teen Dream in January 2010, also to positive critical and commercial reaction.